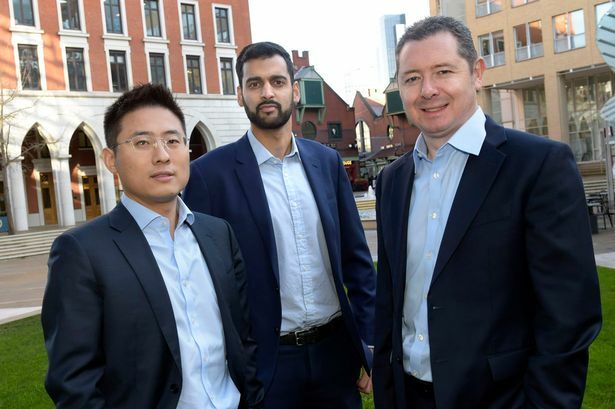 The corporate finance lead advisory team at Deloitte in Birmingham has welcomed two new faces. Sabial Hanif joins as assistant director from PKF Cooper Parry along with manager James Mei who has transferred from Deloitte&apos;s corporate finance team in Shanghai. Mr Hanif has almost ten years of experience working with FTSE clients, SMEs and private equity-backed businesses across a range of sectors including technology, media and telecommunications and business services. Mr Mei has been with the firm for almost three years in China. Over the past two years, he has specialised in cross-border mergers and acquisitions, buy and sell-side advisory and transaction work across sectors such as consumer goods, technology and industrial products. Darren Boocock, head of Deloitte corporate finance in the Midlands, said: "2018 was a phenomenal year for the Midlands team. "We advised on ten deals, totalling over £550 million, with further deals to be completed in the early part of 2019. "To continue this success and maximise the opportunities available in the market, we were keen to recruit experienced individuals, not just in terms of lead advisory expertise, but also sector knowledge and versatility. "Both Sabial and James add a new dimension to the team, bringing with them a depth of knowledge that fits with both the existing team and areas of planned growth. "For both of them, we are able to offer an outstanding career development opportunity, working with some of the most sophisticated clients on significant, often complex transactions."